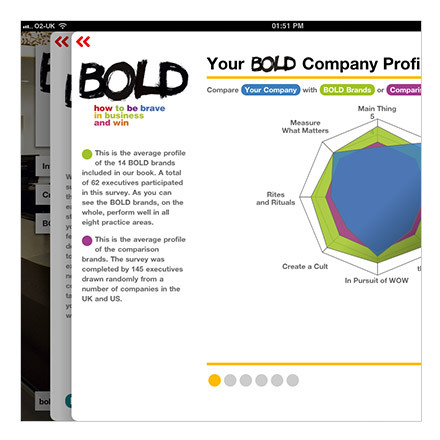 BOLD book application is an application developed by Spacebar Interactive Ltd with hiddenMemory providing the necessary iOS development skill set to deliver a world class digital reading experience. 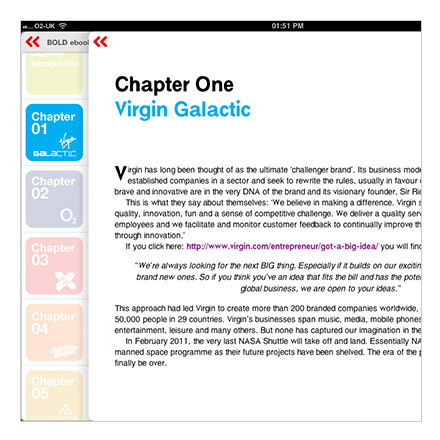 hiddenMemory worked closely with Spacebar to ensure that a top notch user experience was provided around the required technology areas to not only be able to read the BOLD book ePub, but also find out which chapters were best suited for you and your business role and making it a breeze to purchase those chapters through Apple’s in- app purchase framework. 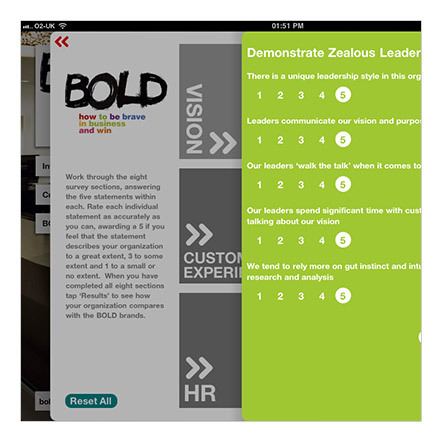 Technical challenges included implementing user interface methods inspired by well known iPad applications, advanced HTML formatting, rewriting and reflowing for page based reading and building HTML to native bridges. 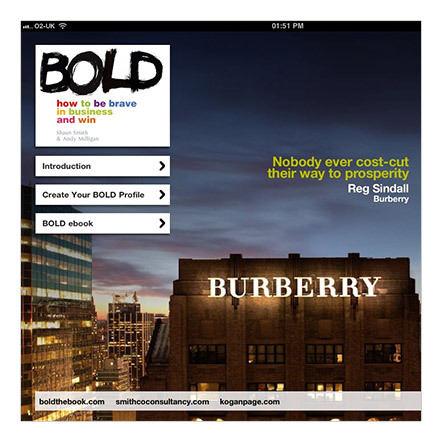 Custom HTML reflow technology. Social network integration. Custom component creation. Sophisticated CoreAnimation utilisation.